August has rolled around and with August comes back to school, back to school sales and state Sales Tax Holiday. This weekend is Florida's sales tax holiday and a big back to school shopping weekend and there are a few items I’m planning to buy. Now you're probably wondering why I’m shopping during a back to school shopping weekend and sharing this when I have no kids and I'm not in school. The reason is this. Sales Tax Holidays are a great way to save money on items you need or were planning to buy anyway. When I lived in North Carolina, pretty much every year since I graduated high school, with the exception of two, I've been taking part in my state’s Sales Tax Holiday. The thing some people don’t realize is you don't have to have kids or be a student yourself to be able to take part. Everyone can benefit and save money. To help you save, I’ve plotted out the ways you can make sure your dollar goes even further when shopping your state’s Sales Tax Holiday. First things first, you’ll want to check to make sure your state has a sales tax holiday. Dates and times vary state-by-state though there are some weekends where several sales tax holidays fall. Here’s a nifty little link where you can find info on all the states having a sales tax holiday this year. If your state does have a sales tax holiday, you’ll want to confirm the items are eligible. As well as any dollar amount caps. For example, in Florida, personal computers are eligible, but only up to $750. Limitations and restrictions will vary by state. Now that you know what’s exempt and not exempt from sales tax, it’s time to create your list of the items you want to buy. Typically my list consists of any office I products I want to stock up on such as copy paper or printer cartridges. I also include clothing items if there’s anything I need to replace or has been on my wish list and can afford. After creating my shopping list, I then plan out where I’m going to shop. At which store will I buy each item? Many times this is driven by who has the best deal. Will I buy some or all of my items online or go to the store? Sometimes items are only available online or you may get the best deal by going to the store. Once you’ve figured out what you’re buying, from where and how, looking for additional ways to save money should be your next step. I like to do most of my shopping online, probably because I don’t like to shop or go to the store. So I shop using Ebates because I can get cash back on several of my purchases making the no sales tax deal even sweeter. 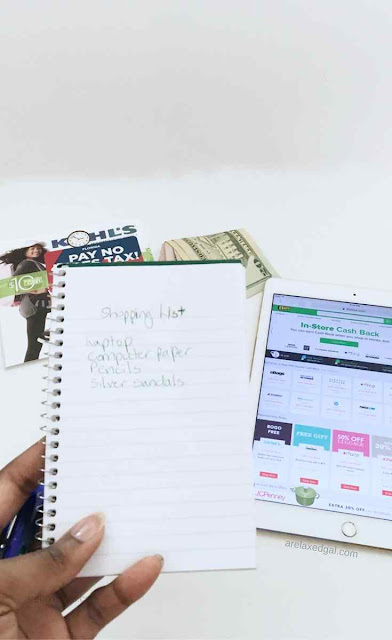 If you're good at paying off your credit card, there are some reward apps that let you link your credit card to them and when you make an eligible purchase you can get rewards points. One of those apps is Shopkick. Several of the stores in the Shopkick app give you Kicks (Shopkicks reward points) for purchases you make with the linked card. Then you can redeem the kicks for gift cards. So it's like getting cash back! Another way to save more with your credit card is if it's a cash back credit card, use that to make your purchase and earn some additional cash back. Other ways to save include using reward apps like Ibotta or searching online for coupons or discount codes. 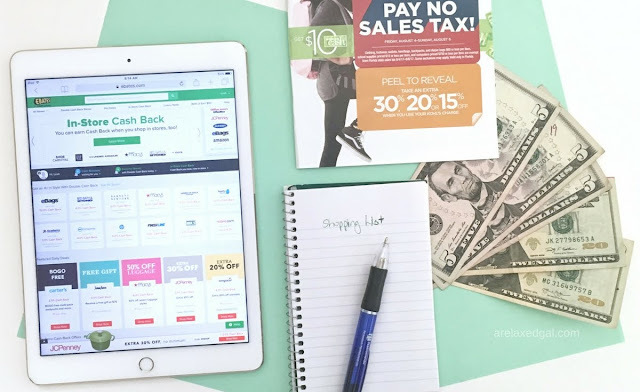 This year, I plan to stack my savings using a mix of Ebates cash back, my credit card cash back, Shopkick and gift cards I've earned through reward apps for each purchase. Have fun, be safe and don’t spend too much. Are you doing any sales tax-free shopping this year? Minnesota does not have a sales tax holiday, but I would absolutely be shifting my spending to the sales tax holiday week if they did. It seems like a great opportunity to shift spending to a specific time of the year that you otherwise would spend other times of the year. Of course this won't work for everything, but I would definitely take full advantage of whatever I could. Great post, I always miss this sale. But it doesn't matter I hate shopping when there is an excessive amount of people in the stores. I know it bad, but I just rather pay the taxes! Thanks Keoshia! I'm not a fan of shopping and agree that it's not fun when a lot of other people are shopping too. That's why I pretty much only shop online, including this weekend for the Florida tax holiday. I went to a few stores, but I pretty much bought everything online.